Sæmundur takes great care of his appearance. It's cloudy with a hefty dose of mango that makes this Pale Ale both unique and fresh. The British yeast makes for a soft warm-up for the tropical dance show put on by the Citra and Equinox hops. 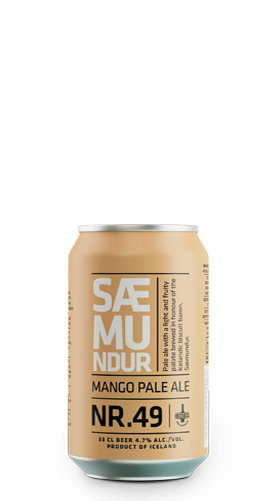 Ingredients: Water, malted barley, mango, malted wheat, hops and yeast.